Lei Jiao is an Assistant Professor at the Department of Computer and Information Science, University of Oregon. He worked at Nokia Bell Labs in Dublin, Ireland previously, and held a permanent position of Member of Technical Staff in 2016. He received the Ph.D. (Dr. rer. nat.) degree in computer science (Informatik) from University of Göttingen (Georg-August-Universität Göttingen) in Germany in 2014. He also worked as a Researcher at IBM Research in Beijing, China in 2010. His research has been published in journals such as IEEE/ACM ToN, IEEE JSAC, TMC, and TSC, and in conferences such as ACM MOBIHOC, IEEE INFOCOM, ICNP, SECON, IPDPS, ICDCS, and IEEE/ACM IWQoS. He has served as the TPC chair of the HotPOST workshops in conjunction with IEEE INFOCOM and ICDCS, and as a TPC member of conferences such as IEEE INFOCOM (Distinguished Member), ICDCS, IEEE/ACM IWQoS, IFIP Networking, and IEEE ICC. He is a guest editor for IEEE JSAC NetSoft Series and an associate editor of IEEE Access. He is the recipient of the 2016 Alcatel-Lucent Bell Labs UK & Ireland Recognition Award and the 2013 IEEE LANMAN Best Paper Award. 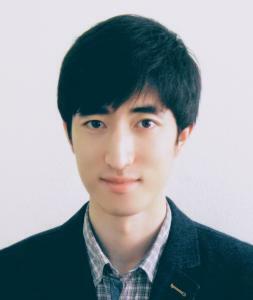 Lei Jiao is broadly interested in the mathematical and algorithmic sciences for systems and networks. He explores optimization, control, and mechanism design to drive the intelligent management of large-scale distributed computing and communication infrastructures and services. Focusing on cloud and edge, he has been working on a range of problems, including resource allocation, service placement, workload scheduling, data caching, energy efficiency, and economic incentives.